Sri Udham Singh Kamboj is one of the unheard stories of our Indian freedom struggle. I am damn sure that if you search about him in wikipedia, you shall get the entire detailed information. Still I would like to share a small gist about his life and the lesson that I learnt. Jallianwallah Bagh massacre which occured in 1919, was one of the most brutal attacks on innocent people in the history of the world. The English military﻿ force surrounded the park and openly fired at more than 20,000 innocent Indians who had gathered to listen to the speeches of their leaders. Thousands of bodies were found in the well in the park the next morning where people had jumped in to save their lives. General Dyer was the commander who gaved the order and Michael O'Dwyer was his senior official who supported him saying that the decision was apt. 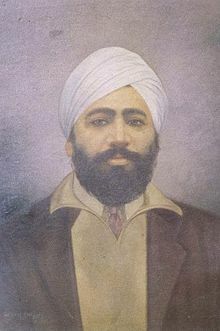 Udham Singh Kamboj who was an associate of Bhagat Singh, learnt about this and held Michael O'Dwyer responsible for this and took up the decision to take revenge against him. He wanted to travel to London and assasinate him to teach the British a lesson. Being a rebel in India, it was hard for him to reach England. In spite of getting imprisoned for 5 years, he kept his hopes alive, took up different names and finally reached London in 1934 after 15 years.